Abstract:Rubber tires are a serious ecological threat to our earth, all over the world billions of rubber tires are discarded or thrown or buried in the land. 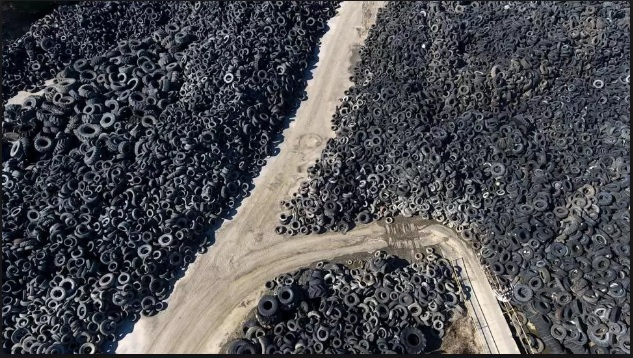 Until now only a small part of the rubber tires is recycled but still million of tires are stockpiled, buried or land filled. This work will give you the results about the durability and the properties of the green concrete which contains recycled concrete as the coarse aggregate and sand is partially replaced by the rubber waste for the use of pavements. 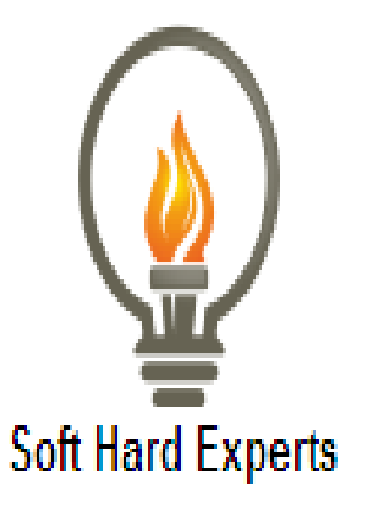 Cement Kiln Dust, Fly Ash, Silica Fume are partially used as a replacement of the cement by weight. Each one of it replaced 10% of the cement weight to give a total replacement of 30%. The performance of the durability of the component was assessed by the means of water absorption, chloride ion permeability at 28 and 90 days. Compression behaviours for the tested specimens were also detected during various days. The results show the existence of ternary cementitious system, silica fly ash and cement kiln dust which minimizes the loss of strength associated to the likewise use of rubber waste. In this way up to 15% rubber content and 40% ternary cementitious system makes an adequate strength class value of about 40 M Pa. These results show that there is a possibility of using rubber waste up to 20% and can still maintain a high acid attack resistance. If we mix it with 15% silica fume, 15% cement kiln dust, and 15% fly ash than it does show a high resistance to the sulphuric acid attack than the reference mix independently of the rubber waste content. The concrete mixes were prepared using a tilting drum mixer of 0.1 m3 capacity. The interior of the drum was initially washed with water to prevent water absorption. The coarse and medium aggregate fractions were mixed first, followed by adding the amount of water absorbed by the aggregates and allowed to rest for 30 min to minimize the variation in the initial slump caused by the high water absorption of recycled aggregates; then sand was added, followed by adding binder materials (cement, SF, FA, and CKD), and the water containing about 75% of the super plasticizer. One-fourth of the super plasticizer was always retained to be added during the last 3 min of mixing period. The concrete mixes were poured in cylindrical moulds, and coM Pacted using a vibration table at low speed. After each mould was properly filled the vibration speed was increased to medium speed to ensure sufficient coM Paction. After casting, the specimens were covered with wet burlap and stored in the laboratory at 23 0C and 65% relative humidity for 24 h and then remoulded and placed under water. Each specimen was labelled as to the date of casting, mix used and serial number. The specimens were then taken out of water a day before testing and dried in air. The fine aggregate are substituted with the tire rubber particles in concrete as it results in large reductions in the ultimate compressive strength of NA and RA concretes by more than 30% in general. It is also possible to use the rubber waste up to 20% and we can still maintain a lower rate of water absorption for NA & RA concretes. 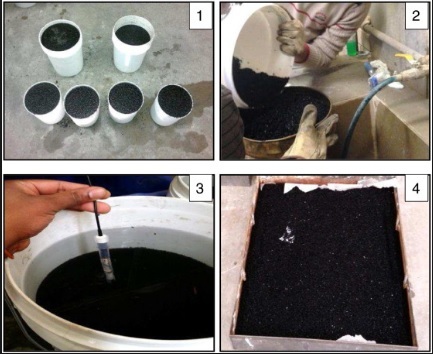 The synergetic effect between the 25% ternary cementitious systems minimizes the strength loss by about 40% associated to the use of the rubber waste. With the addition of the 25% ternary cementitious system, the negative effect of the crumb rubber on all properties eliminated slightly. 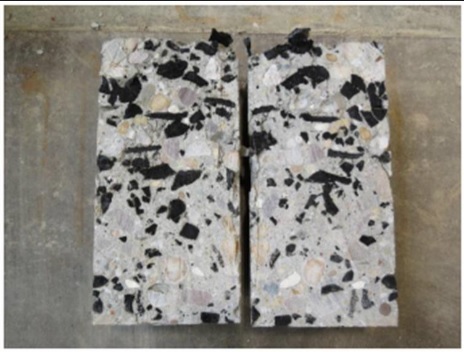 Higher ductile behaviour is observed for rubberized concrete as compared to plain concrete samples under the testing of compression. 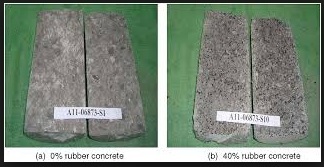 Other than the normal concrete, the failure state in the rubberized concrete doesn’t occur quickly and does not cause any kind of detachment in the sample’s elements. Rubberized concrete has a smaller crack width than that of plain concrete; and the propagation of failure symptoms is more gradual and uniform. The failure state in the tire – rubber concrete as compared to the plain concrete is characterized by somewhat more deformation. 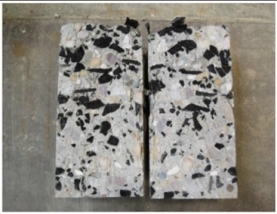 Since the crumb rubber is present inside the concrete, porosity is very poorly affected. Therefore, the values of water absorption for the rubberized concrete increases. Furthermore, the water absorption is increased if we increase the rubber content. A progressive increase was noted in the chloride ion penetration of all mixes with the increase in rubber content without ternary cementitious systems at both the results of 28 days & 90 days. If 25% of ternary cementitious systems give a considerable affect the chloride ion permeability of all the concretes at the 28th day. However, when the period was extended to the 90th day long period., the long term reaction of the 25% ternary cementitious system refines the poor structure of the concrete so that ingress of chloride ions decreased drastically. The 25% mix of the ternary cementitious system shows a higher resistance to the sulphuric acid attack than the reference mix independently of the rubber waste content. The mix with 7% rubber waste and a partial replacement of the cement by 25% ternary cementitious systems has a considerable resistance to the sulphuric acid attack as compared with the reference mix.